Officially, there are several candidates and a campaign for president. In reality, Gurbanguly Berdymukhamedov will be re-elected leader of Turkmenistan. Gurbanguly Berdymukhamedov will all but surely be elected to a third term as president on Sunday, defeating the other eight candidates approved by the central election commission. Berdymukhamedov came to power in a special election in 2007, following the death of Saparmurat Niyazov, who had been president since 1992 and saw himself as Türkmenbasy - Head of the Turkmen. Abroad, he was best known for an extreme personality cult that surrounded him. Berdymukhamedov, educated as a dentist, had been his vice president, receiving 89 percent of the vote in the 2007 election and 97 percent in 2012. There were seven other candidates, but no real opposition. Turkmenistan's true opposition was forced into exile under Niyazov and continues to push to take part in elections. The government in the capital, Ashgabat, blocks this effort. Opposition candidates are instead chosen based on their loyalty, said Nurmuhammed Khanamov, the head of the Republican Party of Turkmenistan, the opposition party from abroad. On election day, the "competition" will transfer their votes to Berdymukhamedov, he told DW. He expects no real surprises, seeing that the candidates have been pre-approved. Voters hardly know the selected opposition candidates. Two are deputies from regional administrations, one each the director of a refinery and a chemical company, and another is the head of a bank. "Elections must include candidates from every region and the capital, Ashgabat. There are also candidates from the parties," Khanamov said. That would be the three officially sanctioned parties. Berdymukhamedov leads the Democratic Party, founded in 1991. The second one, the Union of Industrialists and Entrepreneurs of Turkmenistan, did not come into being until 2012, and the Farmers' Party arrived on the political scene in 2014. There is little sign of a real campaign, which is no different than in the 2007 and 2012 elections. No open debate is planned. The opposition's platforms are development plans for the candidates' own sectors that neither criticize the incumbent's program nor address social problems. Instead, they praise "Turkmenistan's great economic and political success" in the last 25 years under Niyazov and Berdymukhamedov. 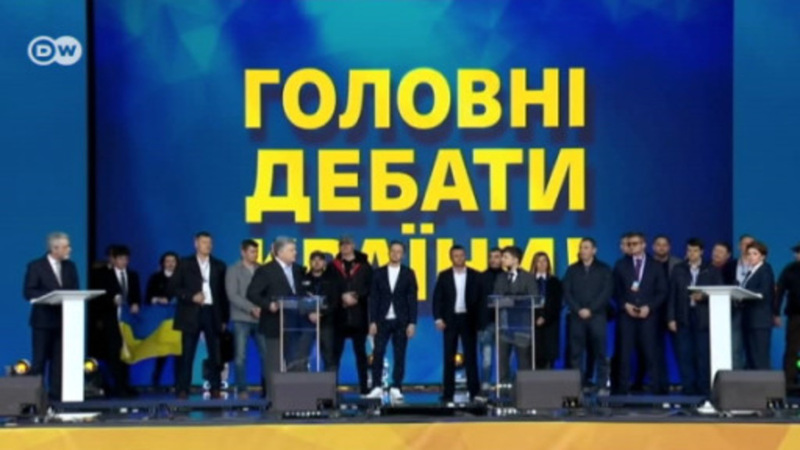 Berdymukhamedov has avoided campaign-related television appearances, officially as a favor to the other candidates. Daily television reports cover the president's meetings with factory workers, the military, athletes and students, during which he is greeted with praise, flowers, and song and dance. President Berdymukhamedov has given away television sets and sometimes trips to the sea, and he has additionally promised women gifts for International Women's Day on March 8. His portrait appears on the first page of every newspaper under the auspices of the so-called campaign. During the weekend vote, students who have come to the capital to study are prohibited from going home. Meetings are being organized with them, demanding 100 percent voter turnout. Election-related events will also take place at public authorities, where public workers speak of Berdymukhamedov's electoral worthiness. Berdymukhamedov's portrait - whether on a horse or a tractor, at a podium or with his family - hangs in every polling station, now open for early voting. Poll workers are going from door to door to get people to vote, according to media reports. Turkey has purged and arrested tens of thousand of people all because of one man blamed for the July 2016 coup attempt: Fethullah Gulen. Who is Turkey's public enemy number one and what do we know about his organization?